There’s a confession that sits heavy in the stomach of any film student or graduate. It’s a confession that’s elicited only after one can’t take stifling their true opinions anymore during heated cinematic matches of movie one-upmanship; when a Truffaut reference is met by a Bergman B-side, and a Herzog rarity is eye-rolled by a Béla Tarr exposition. To be the person to confess to not being a 100 percent David Lynch fan is to be the person to show up at a Fashion Week event wearing a high heel flip-flop. It’s a cultural suicide attempt. But there’s a difference between not being a true fan and not appreciating what an artist is doing, to which I firmly plant myself in the later context. I will never claim to be changed by watching most of Lynch’s films but I never regret the experience. This is a position I felt even more comfortable with after reading David Lynch: The Man From Another Place (Amazon/New Harvest Icons series), film critic and programming director Dennis Lim’s brief but thorough review of the filmmaker and overall person of artistic intrigue. Lim’s perspective is not a fan-fest or overly esoteric investigation into the hidden meanings behind every element of Lynch’s films. (Lynch’s infamous obtuseness in his dealings with the press are perhaps another reason why his work is picked apart and dissected at such length. If he will rarely divulge the meaning behind his work then so must others.) Instead, it’s that of researched respect; it’s this perspective that makes the book a far easier (and enjoyable) read, particularly for those who are most interested in swimming in the shallow end of Lynch’s pool. Those looking for a more philosophical or psychological take on Lynch’s body of work don’t have to look far or long. They exist everywhere from amateur blogs to academic texts and everywhere in between, which makes something as straightforward as Lim’s take perhaps even more special. It’s a straightforward account of a filmmaker who never took the straight—or, at times, even a forward—path. The book looks at Lynch’s works one-by-one in chronological order, presenting the backstory through general reception of each film. For a filmmaker as famously silent as Lynch, it’s clear Lim did his work in scouting a variety of sources, which included frequent Lynch collaborators like Laura Dern, Mary Sweeney, and Jack Fish. While Lim doesn’t shrink away entirely from attempting to dispel some of the deeper mysteries of what Lynch presents, the more interesting discoveries he unveils are in the hardships both external and internal Lynch faced while making each film. While he will remain a film school deity, Lynch has been beloved as quickly as he has been deplored in pop culture. And what makes his course such a fascinating one to examine is his seemingly utter disinterest in taking logical career, or even artistic, steps. He’ll follow up a baffling art-house slow burner with a classic Hollywood emotional tale. He’ll move from film to television to shed-making (for real). There’s somewhat of a beauty in the selfishness in which Lynch operates. He exists to fulfill no one else’s desires but his own (perhaps his numerous romantic partners and children view this quite differently), which makes for a compelling and surprising resume. It seems plausible that Lynch either has never heard the common Hollywood refrain, “You’re only as good as your last film,” or simply found it laughably ignorable. Lim doesn’t suggest that Lynch is unaffected by the reception or larger film system, but he seems to always remain guided by his own unique ideology. When this becomes clear, as Lim’s book helps illuminate, it’s the outside world’s frequently surprised reactions to his work that seem strange. It should be a quick and easy lesson to abandon all expectations with Lynch, so it’s when audiences or critics are upset at the inconsistencies of his work, it feels like they’re not getting the bigger picture. There’s a lot of fun in dissecting the cerebral meaning of Lynch’s work, but there’s also no shortage of it. Refreshingly, Lim puts down the psychological magnifying glass, looking instead at the mechanics of Lynch’s work as a filmmaker, from inspiration to reception. 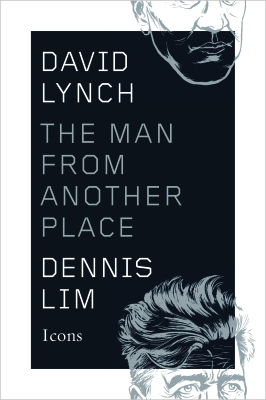 Not being a part of the Lynchian cinephile army can be an unpopular position in certain cultural circles, but it’s an easier position to defend being educated about the filmmaker and his work, which Lim’s The Man From Another Place undoubtedly does.